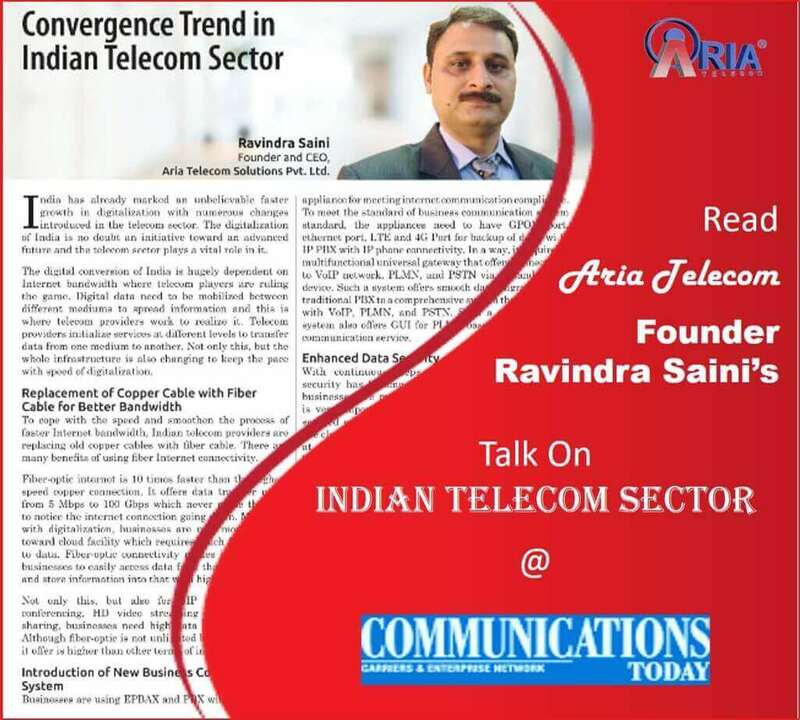 Communication Today has featured Aria Telecom Founder Ravindra Saini in their February edition. In the edition, they have published his views on “Convergence Trend in Indian Telecom Sector” where he has reflected his views on digital conversion of India. The article also reflects on Business Communication system, Enhanced data security, and advanced integrated telecom system. The talk has been published in the “PERSPECTIVE” section. In the article, Mr. Founder has indicated “The digital conversion of India is hugely dependent on internet bandwidth where telecom players are ruling the game. Digital data need to be mobilized between different medium to spread information and this is where telecom providers work to realize it. Telecom providers initialize services at a different level to transfer data between one medium to other. Not only this, but the whole infrastructure is also changing to keep the pace with the speed of digitalization”. You can view this article online at http://www.communicationstoday.co.in/ezine/archive/201802/. We, thank Communication Today to give us the door to open our pillar views to their great audience base.